Heat oil in a soup pot, and sauté garlic 1 minute. 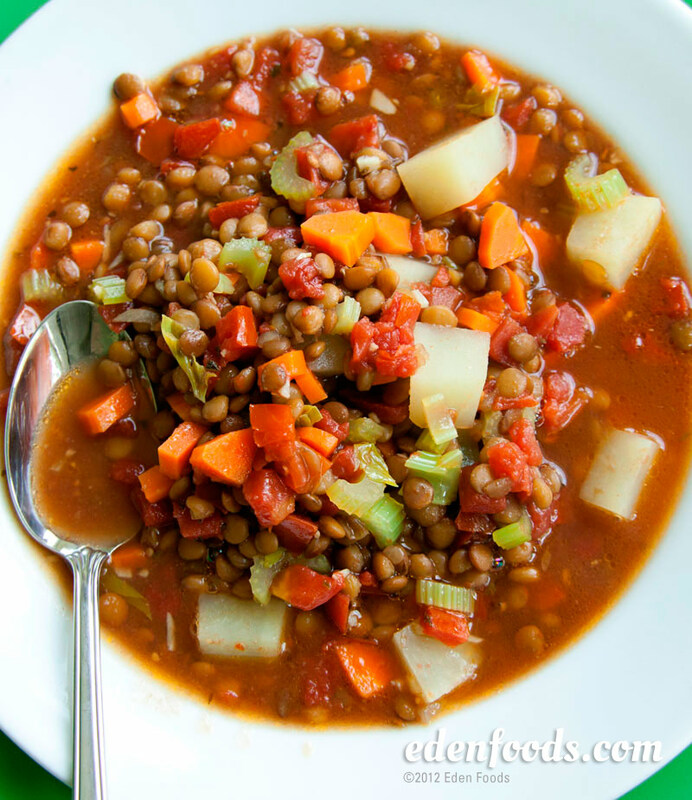 Add lentils, tomatoes, oregano, red pepper, celery, carrots, and potatoes. Cover, and bring to a boil. Add sea salt to taste, cover, and reduce the flame to medium-low. Simmer for 15 minutes. Serve. Variation: For a heartier soup, add 1/4 cup Eden Kamut Elbows the last 7 to 10 minutes.